The war stories of power and colonial war, the rise of the masses to be able to have freedom in history are always attractive scenes for everyone. The great battleships of the powerful side that participated in the battle are also an indispensable part of the famous battles of the whole world. Do you want to experience the role of captain, direct the warships to fight with the enemy, win the victory as the great general had been? 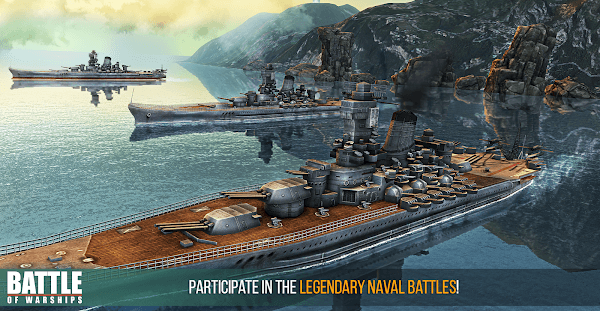 Download Battle of Warships for Android to discover and make history on your phone absolutely free. Players only control their warships from the simple control panel, take them to the arena, try your best to take the glory of victory. Although the basic task is only so, commanding and using tactics to attack the enemy is not easy at all. 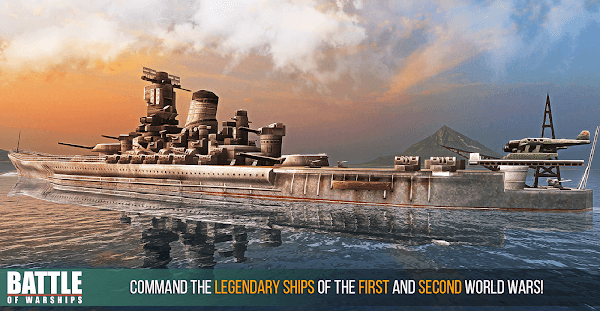 Not only that, you also have the opportunity to own the beautiful cruisers with terrible fighting power. This is also the point that the game brings, creating a dramatic counterattack with the enemy, unfavourable weather accompanied by weapons asymmetry. 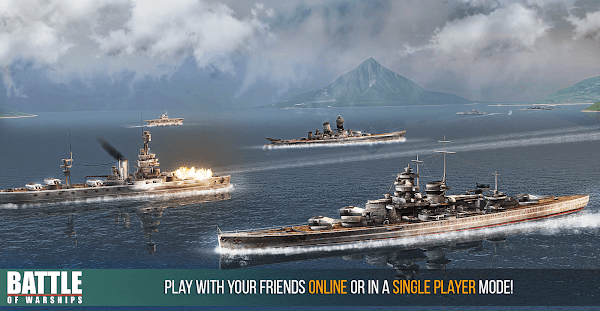 Utilize terrain, warships to create different attack and defence tactics to ensure the enemy is unpredictable. Space in the game is very large so please collect a variety of battleships to be more easily customizable. Various weapons and good combat ability will increase the percentage of your win. To grasp the relative importance of the enemies headquarter, attack from afar, out of the enemy fire range. The exciting rewards will be revealed after each game, according to the level of each game, the more and more gifts for the next game. As mentioned above, you will control the warships on the battlefield so combat space will be in the great rivers, the bays, the blue of the sea and the sky are the main colours in the game. The latest 3D graphics and bright colours contrast with the dark colours of the ships. The smell of gunpowder, artillery shells flooded the sky is expressed through their crisp sound like bringing players to a real battle in the first and second world war. There are more than 20 different types of modern warships used in two major wars, including Yamato, Missouri, Bismarck, South Dakota, and carrier aircraft. New series of weapons such as missiles, explosives … are updated regularly for users in the war. To increase the excitement and difficulty of the battle, the weather will be changed frequently, sometimes you will have to fight on the day, night or have to overcome the pouring rain or storm to strike target accurately. Be careful not to be counter-attacked by the influence of the weather. You do not have to train all day and night, suffer hardship and difficulties out of the school of guns, use warships, weapons of war but you can still own in the hands of the terrible ship to become the “great fish in small pool” in two world wars. 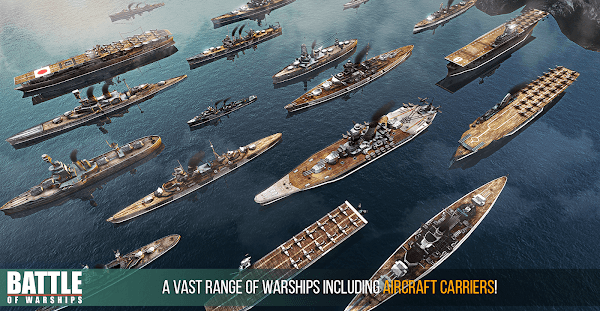 Everything is possible in Battle of Warships MOD, the game is the completely free supply for the user. Join now to become a competent and wise general on your phone. Previous « Galactic Frontline – Guards of the galaxy?